Lara has developed somewhat of an obsession with Mr. Maker and his competitor, Art Attack! Abbey Home Media fuelled this passion by sending her a copy of the new Mister Make Watch & Make 4 DVD to review and she loved it! We watched it non-stop for about 4 days and then it dropped down to just one episode a day. Given that there are only five episodes on the DVD, we all know how to make the art and craft projects VERY well now! 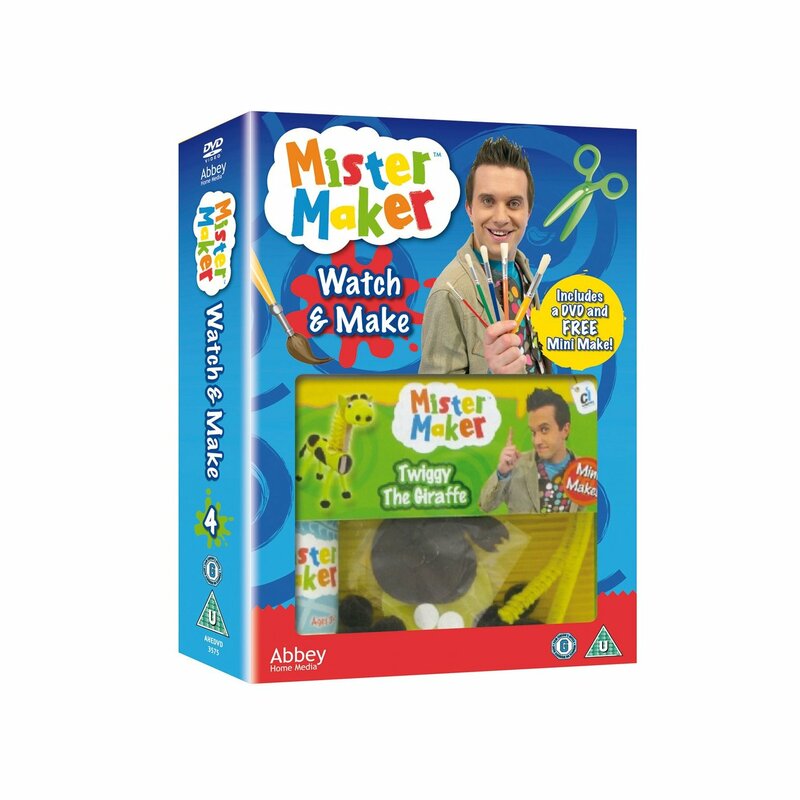 The episodes of Mister Maker on the Watch & Make 4 DVD are mostly ones that I remember seeing on television but that doesn't make them any less enjoyable. Mister maker gets to work making bubble-wrap cacti, pop-up scenes, an ancient picture out of bandages and a quick one-minute lizard out of a lolly pop stick. There are lots of ideas in here for craft projects Lara can attempt on her own and picture ideas for when she is a bit older so there is plenty of life in the DVD. And of course, there are those pesky 'shapes' who annoy the life out of me (this along makes Lara giggle) when they jump down off the shelf and do their funny dance. Lara gets great pleasure out of guessing the picture that the shapes will make, or guessing what the brightly coloured children will make too. Even after watching the episodes so many times, she hasn't quite grasped that it isn't going to be a brand new picture every time she watches! hehe. The best thing for me about the latest Mister Maker DVD is that it comes with a free mini make. The box comes with instructions and all of the craft materials that you need, including glue. 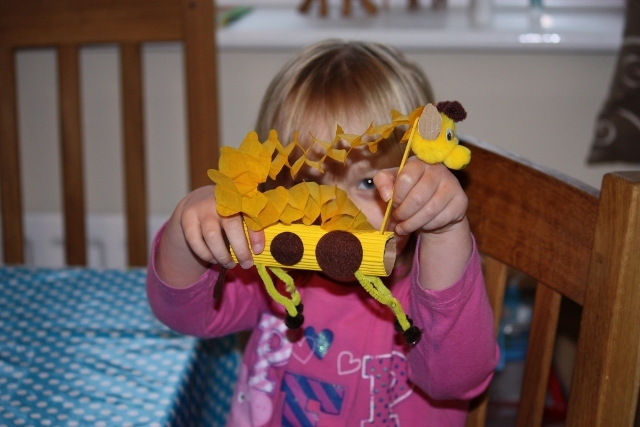 Lara's mini make was a spotty giraffe and she had great fun making it and felt so proud afterwards. I think that with the mini-make included, this is an awesomely good value DVD.